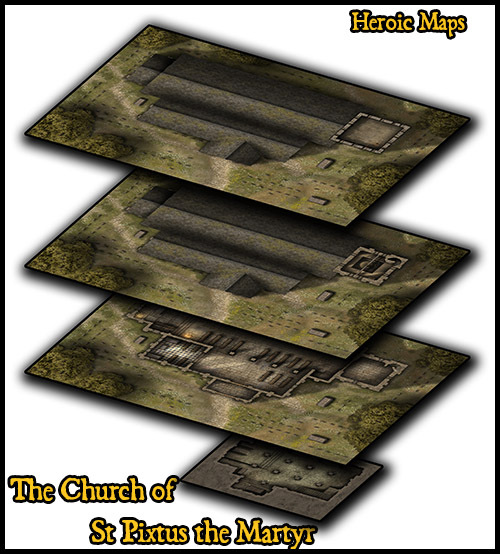 Contents: A set of 20 x 30 maps depicting a traditional NW European church. 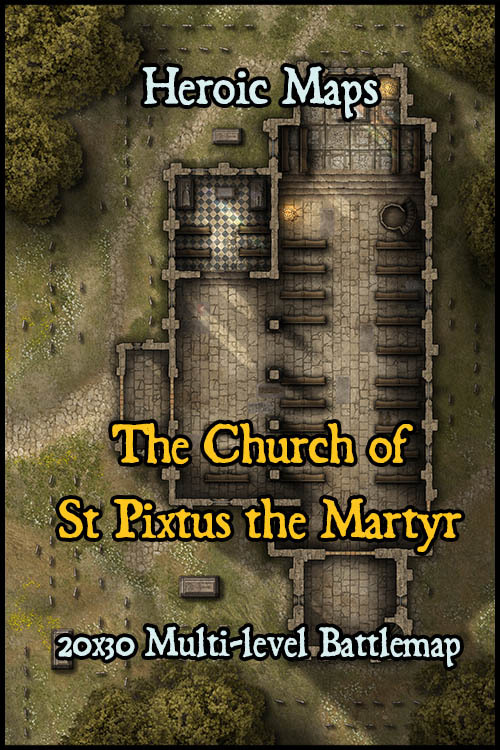 The nave of the church has a pulpit, pews and font, with the chancel and apse housing a small altar. 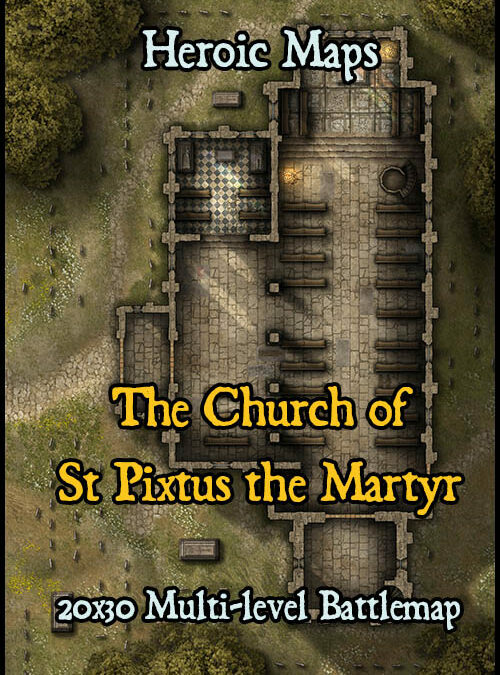 An additional nave has been built to the side, and this is home to a small chapel. A bell tower is accessed by stairs, and a ladder leads to the roof of the tower. A set of stairs lead below the church to the crypt.